Dr. Will Mauch was born and raised in Pickering, Ontario. He went to the University of Toronto and competed on the Varsity Gymnastics team. Dr. Mauch started his career in health care as a Massage Therapist and he began his career working with Dr. Kevin Doherty. When he expressed interest in becoming a Chiropractor Dr. Doherty recommended he attend his old Alma Mater, Palmer Chiropractic College and study the Gonstead Technique. While at Palmer Dr. Mauch immersed himself in the Gonstead Technique becoming a member, Officer and then Executive in the Gonstead Club taught the technique to younger students daily. Dr. Mauch has been invited to lecture to the Canadian Memorial Chiropractic College on multiple occasions. When Dr. Mauch isn’t practicing he is spending time with his wife of seven years, Jennifer, and the two have a beautiful little six year old girl, Madisyn. Dr. Mauch also enjoys working out and coaching Judo to kids. Ghada Shendy is a Registered Physiotherapist in Ontario. She earned her Bachelor degree and Masters degree of Physical Therapy at the University of Cairo in Egypt. 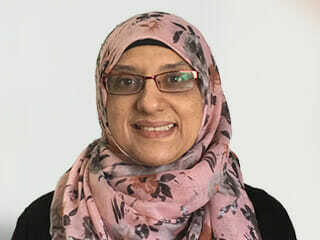 She was the head of the Department of Physical Therapy at the College of Health Science For Girls and The University of King Abdel Aziz in Saudi Arabia. 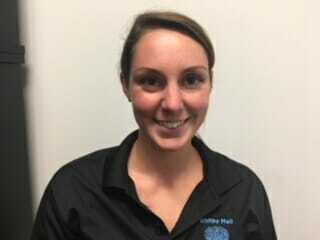 She specialized in manual therapy and pelvic floor care. Ghada enjoys helping her patients understand the role of physiotherapy in maintaining proper function of the pelvic muscles before, during and after pregnancy. Ghada is interested in teaching and mentoring students in health care programs and has supervised co-op and other active learning placements. 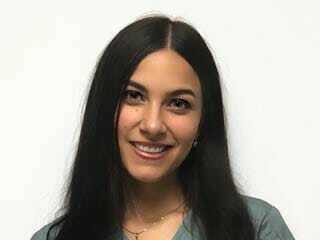 Ghada is passionate about providing her patients with the best quality of care, using the most advanced and effective treatment methods for musculoskeletal injuries. Ghada is also a mother of three and loving wife. In her free time she enjoys swimming and reading. Emerson is an empathetic and highly dedicated physiotherapist who is passionate in providing a goal-oriented and client-centered care. He has extensive experience treating a variety of orthopaedic conditions combining manual therapy techniques with other therapeutic modalities including taping, acupuncture, therapeutic exercise and education. 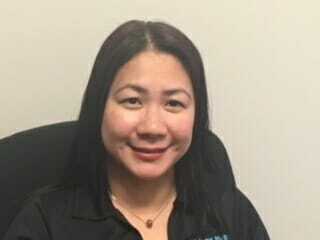 Emerson holds a Bachelor’s degree in Physical Therapy from the University of Santo Tomas in the Philippines and has been practicing physiotherapy since 2004 working in a variety of clinical settings. 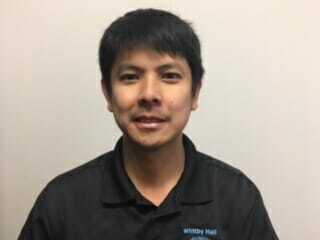 He is continuously seeking to advance his skills and learn new techniques particularly in manual therapy to provide a better outcome for clients. He has completed an array of post-graduate courses such as Mulligan’s Mobilization with Movement, McKenzie Mechanical Diagnosis and Therapy for Lumbar Spine, Kinesiotaping (Levels I and II), Orthotic Therapy, Basic Acupuncture and Orthopaedic Manual Therapy (Level 1).  Ganesh Bhagavathiappan is a Registered Physiotherapist in Ontario. 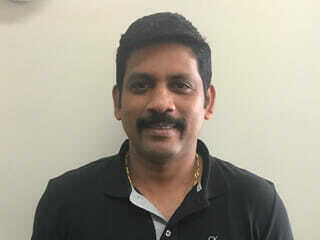 Ganesh has obtained his Bachelor degree in Physiotherapy from Tamilnadu Dr M.G.R medical university, India in 2005 and pursued Master degree in Physiotherapy in the field of Musculoskeletal disorders & Sports Physiotherapy from Rajiv Gandhi university of health sciences, India in 2007. Ganesh has worked at A.J Medical college hospital & Laxmi memorial college of Physiotherapy for several years where he treated patients and taught Under & Post Graduate students. Over 10 years of experience in the field of Physiotherapy Ganesh enjoys doing Manual Therapy, Mobilization With Movement, Acupuncture & Taping technique to his patients for various Musculoskeletal Conditions & Sport Injuries. Ganesh main focus is to identify the root cause of the problems, treat them with evidence based practice for a long term relief and educate patient on injury prevention and activity modification. 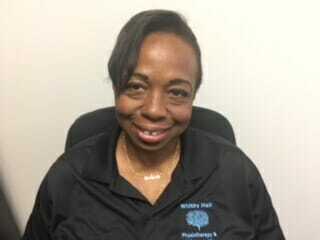 In 2002, Sheryl received her Bachelor of Science in Physical Therapy from Pines City Colleges. 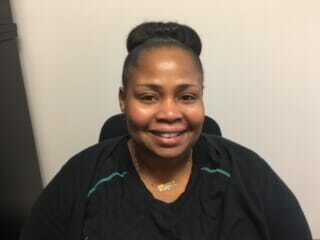 She worked as an Instructor at Cornerstone College Healthcare Business, teaching Anatomy. She is highly motivated, confident individual with exceptional multi-tasking and organizational skills and hands-on to patient exercises. Able to communicate effectively and sensitively with patients, careers to maximize the rehabilitation of patients and to ensure understanding of often complex clinical issues impacting on recovery. Excellent client facing skills and the ability to work closely with other health care professionals to assists patients needs and devise suitable treatment for them. Alyssa Guy is a registered chiropodist with the college of Chiropodists Of Ontario and a member of the Ontario Society of Chiropodists. Alyssa graduated from the University Of Ontario Institute Of Technology with distinction, receiving a Bachelor of Health Science (Honours) Degree. In a post graduate program at the Michener Institute for Applied Health Sciences at UHN, Alyssa graduated with an Advanced Diploma of Health Sciences Chiropody D.Ch. Alyssa finds the substantial impact chiropody can have on someone else’s life extremely rewarding and is excited to be able to provide her patients with the highest quality of foot health care. She has a passion to serve and provide patients quality of life through the dedicated care provided. Anita Idema is a registered Chiropodist with the college of Chiropodists of Ontario and a member of the Ontario Society of Chiropodists. She graduated from the Michener Institute in 1991 and began her Chirpody career at Lakeridge Health Oshawa that same year. She was a staff Chiropodist for 12 years. Since then she has been in private practice and has been providing quality footcare in Durham Region for 27 years. During her free time Anita enjoys being active, gardening and spending quality time at home with her pets. Jeanette is a graduate of both York University and Sutherland-Chan Massage Therapy and Teaching Clinic. 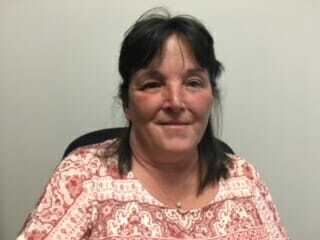 Jeanette has been practising massage therapy since the fall of 1997 and has previously worked in 3 Chiropractic Clinics and Massage Therapy Clinics; a multi-disciplinary Medical Health and Sports Clinic and a Physiotherapy Rehab Clinic, as well as in a Salon and Spa setting. 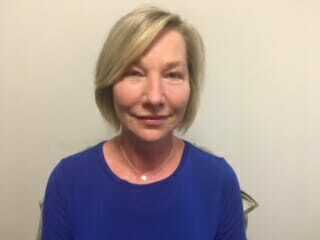 She has additional training in geothermohydrotherapy (Hot Stone Massage), whiplash and the neck, lower back and the hip, comprehensive approach to soft tissue manipulation, soft tissue release, acupressure, knee dysfunctions, Ultrasound, Indie Head Massage, Shoulder Mobilizations and has taught infant massage classes at the St. Joseph’s Health Centre in Toronto. Ryan Hill graduated in 2012 from the Sutherland-Chan School of Massage Therapy in Toronto. He is a member of the College of Massage Therapists of Ontario. Ryan’s experience includes training in the Toronto General Hospital Thoracic Ward, the Princess Margaret Lodge and the Sutherland-Chan Clinics; multiple sclerosis, senior and student; where he worked on clients with various conditions and disabilities. Ryan also has an interest in sports massage therapy and has worked with both runners in the Toronto Marathons and Toronto Marlies hockey players. He is able to provide the benefits of massage therapy both pre and post event. He practices a “Find the cause, treat the cause” approach as pain in one area can stem from various other locations in the body. He uses Myofascial Release, Deep tissue, General Swedish and Neuromuscular Massage techniques. As well as joint mobilization, hydro therapy and stretching/strengthening exercises. Whether to recover from injury or stress, Ryan looks forward to providing exceptional massage therapy to his clients at PhysioCare. B.Sc. RDN .OCT. Registered Dietitian Nutritionist educator. Graduate of The Mico University 1989, Centennial College 1997 and The University of Texas Southwestern Medical Center Dallas 2010. Experience includes Diabetes Management, Renal care, weight management, community nutrition education including healthy eating, preventing and controlling hypertension, eating healthy on a small budget. Pearl is a member of the following professional organizations: College of Dietitians of Ontario, Dietitians of Canada and Ontario College of Teachers and is credentialed by the commission on Dietetic Registration U.S.A. “My goal is to educate my clients on healthy nutrition and help them to develop self-management skills to walk in Health”. “For me, the best part of my job is the dream and challenge of building a Canada-wide organization that provides expert wellness services to all ages by applying evidenced-based treatments. Using the most modern techniques, tools, and machines, we facilitate rehabilitation and wellness, taking care to carefully diagnose each case individually.” Currently located in Whitby, Ontario, Whitby Mall Physiotherapy & Chiropractic is managed by Gamal Gouda and his expert team. The clinic’s services include: physiotherapy, massage therapy, chiropractic services, osteopathy, laser therapy, acupuncture, and more. Whitby Mall Physiotherapy & Chiropractic has the most updated equipment for this field of healing including shock wave, decompression traction system, ultrasound, laser, infrared, and other systems. His team is highly specialized in their training and work collaboratively in treating patients. Some of the techniques they implement include: active release, McKenzie, Graston, Mulligan, manual therapy, and more. 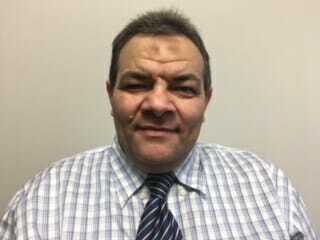 Gamal graduated from the Ontario School of Osteopathy and Alternative Medicine in Toronto as an Osteopathic Manual Practitioner. He focuses on Myofascial Release Technique, Counterstain Technique, and Muscle Energy Technique. “What motivates me every day is the satisfaction of seeing our clients get well after coming to our clinic with very serious issues. Some people experience awful trauma and pain, and it’s wonderful to help them recover to a state of being pain-free.” Currently, Gamal is working on a project that would link his clinic’s work with research studies to further advance techniques and improve practices in these medical fields. 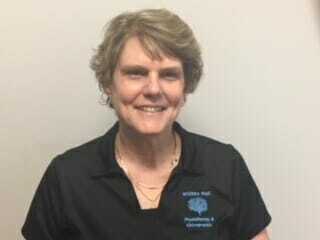 As the Office Manager for Whitby Mall Physiotherapy and Chiropractic my job is to oversee the office operations and I am committed to making our patients and their family’s experience in our office a positive one. I started working for Whitby Mall Physiotherapy and Chiropractic in 2013. I have over 20 years of office experience and customer service. My goal is to incorporate my knowledge and customer service that I have acquired to equip our team to best serve our patients and their families. Outside of work, I enjoy spending time with my husband, our four children and our 3 grandchildren.